Saara Kuugongelwa-Amadhila, entered the political limelight at the age of 27 when she was appointed the Director General of the National Planning Commission in 1995. In 2003 she was appointed as the Minister of Finance. 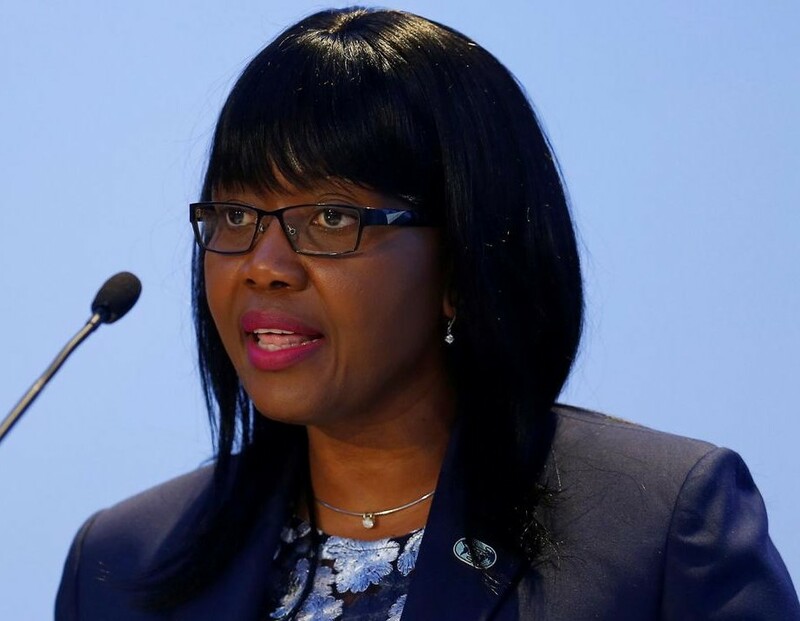 Kuugongelwa-Amadhila’s tenure at the Ministry of Finance would be remembered for her ambitious fiscal targets of limiting government spending. She presented the country’s first ever budget surplus in 2006/07 and 2007/08. During her tenure the country employed serious fiscal discipline. Born on October 12, 1967 at Otamanzi in Okahao, Kuugongelwa-Amadhila went into exile in 1980 at the age of 13, and continued with primary education at Koidus Girls Secondary School in Sierra Leone in 1984, before completing secondary education at St Joseph’s Secondary School in Sierra Leone in 1987. She obtained her Bachelors of Science in Economics at Lincoln University, Pennsylvania, USA in 1994. After returning to Namibia, she started working as a Desk Officer in the Office of the President for a few months in 1995, before she was assigned the role of Director General at the National Planning Commission. Kuugongelwa-Amadhila is credited as being a quick learner, having to learn walking the tight ropes within a few months at the helm of the National Planning Commission and for having to take over the country’s purse at a time when revenues were down due to declines in taxes from diamonds and other mining sectors.